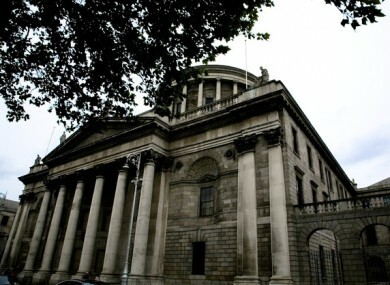 A DUBLIN MAN, who is wanted in Northern Ireland over the attempted murder of a police officer, has been granted bail in the High Court after his mother agreed to a €30,000 surety, out of her life savings. The court heard that Sean Farrell (32) was arrested in Dublin on 23 March last on foot of a European Arrest Warrant seeking his surrender to the Northern authorities for attempted murder and possession of explosives with intent to endanger life. Barrister Leo Mulrooney, counsel for Farrell who is currently detained at Portlaoise prison, said his client was granted bail on the condition that an independent surety of €30,000, with €25,000 to be lodged into court, be approved. Counsel said that Farrell’s mother, Monica Farrell, of Kilfenora Road, Crumlin, Dublin, agreed to the independent surety to satisfy the bail conditions. The conditions also include that Sean Farrell will provide a €5,000 cash surety of his own, will sign daily at Sundrive Garda Station, surrender his passport and reside at his mother’s home. Mr Justice Donald Binchy warned Ms Farrell that if her son fails to abide by the bail conditions, she may lose the full €30,000 which, the court heard, was the product of her life savings. Barrister Tony McGillicuddy, for the State, said the Minister for Justice was satisfied that details of Ms Farrell’s bank account showed she was in a position to act as an independent surety. Sean Farrell was arrested last month at his place of work in North Dublin. Another man, Ciaran Maguire (29), of Kippure Road, Finglas, Dublin, was also arrested in relation to the same charges. Email “Man wanted over attempted murder of police officer granted bail after mother puts up €30k”. Feedback on “Man wanted over attempted murder of police officer granted bail after mother puts up €30k”.